Nestled in the verdant central valley, the DoubleTree Cariari is only 5 minutes from the international airport and 7 miles from downtown San Jose, Costa Rica. Great to come home to! There's never a compromise in comfort, service, food or fun at the DoubleTree Cariari Hotel Conference Center and Golf Resort. The hotel is recognized as the nation's premier luxury resort and serve as the perfect base for discriminating visitors. 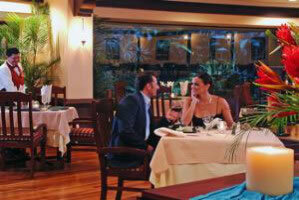 Only the DoubleTree Cariari offers guests so much to come home to after a long day exploring the wonders of Costa Rica. 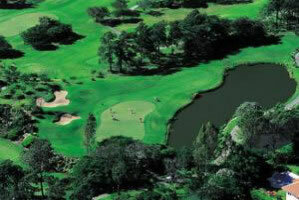 DoubleTree Cariari guests enjoy privileges at the resort's 18-hole golf course and 11 championship tennis courts. There's a complete gymnasium with fitness equipment, aerobic classes, saunas, massage service, children's play area and game room. The three swimming pools include a huge free form pool with swim-up bar! Each of the DoubleTree Cariari Hotel and Country Club's 220 magnificently furnished rooms and suites has remote control TV, air conditioning, safety deposit box, electronic key system, mini bar, direct dial telephone and 24 hour room service. 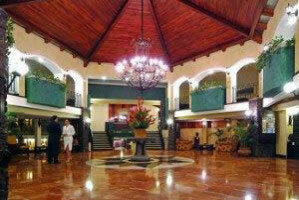 Suites and many of the rooms open to the pool or offer private balconies. There's always action at the DoubleTree Casino, with international games of chance and video slot machines. A choice of fine restaurants offer gourmet dining in an atmosphere of formal elegance, sumptuous seafood and brunch buffets and a relaxed poolside coffee shop featuring Costa Rica's specialties. 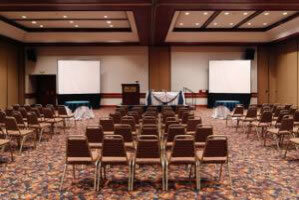 Special meeting rooms and facilities routinely handle conventions and conferences of more than 2,000 people, sit-down banquets, intimate dinners, cocktail parties, incentive groups, and business meetings. The Cariari's elegant new Grand Salon with its marble floor and paneling of precious woods will accommodate up to 1,500 people. Children under 12 years old Free of charge, sharing room with parents. Maximum 2 children.